An idea has been proposed to produce a pilot program for a weekly, one-hour, television program on the Royal Commission and related issues. The idea involves control of the format, production and financing, by victims and their friends and associates. It is called the Survivors’ Pilot Project. A segment that is focused on healing/understanding in your neighborhood or community. Coming out. What to expect and how to work for a better outcome. Dispelling myths & legends – what psychology, neuroscience and research can tell us. The psychology of the cover-up and just what is being covered up. Guests – local and from overseas (SKYPE). Guests from government and public services. Bring a guest from overseas to Australia every 6 months – produce a weekly on their insights. Internet Meme of the week. The Commission – This Week’s Review. Obviously, the proposer has already done much of the hard yards for this project, but it is clearly beyond the capacity of a lone individual to implement, especially if survivors are to retain complete control of the project. The proposer has a couple of other ideas well worth consideration which are also outlined on the website already given above. While this author is unable to participate in a concentrated way on particular projects and programs, this site will always be available to those who have a message they want promoted to similarly-interested people. This entry was posted in Uncategorized and tagged Australian Royal Commission into Institutional Responses to Child Sexual Abuse, Fr. 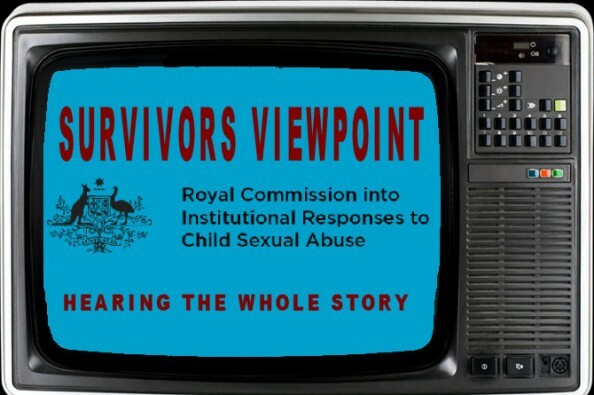 James Robinson, Lewin Blazevich, Lewis Blayse, Survivors Viewpoint, Survivors’ Pilot Project. Bookmark the permalink.